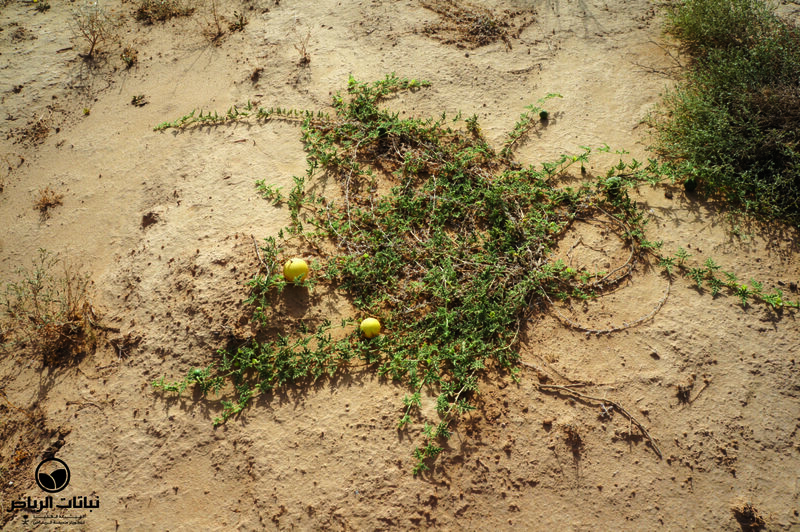 Citrullus colocynthis, known in English as Bitter Apple and in Arabic as hanzal, is a fast growing, prostrate, trailing or climbing perennial herb with tendrils that can extend up to 3 metres. 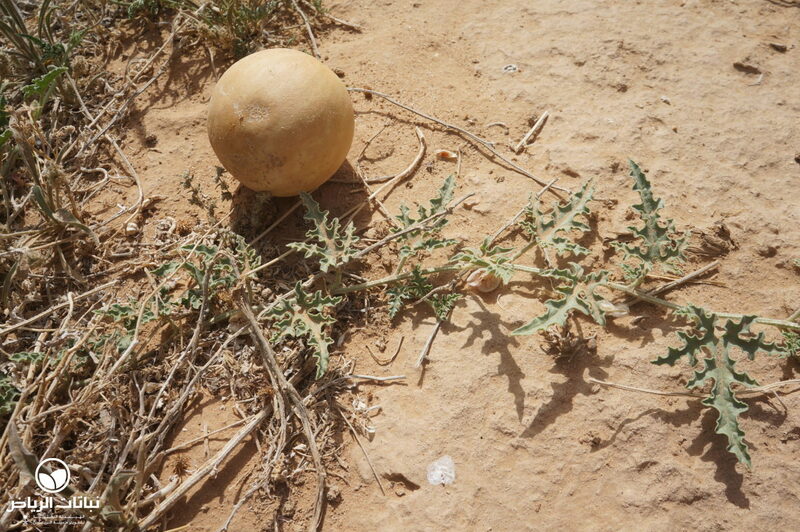 It occurs throughout northern and southern Africa, southwest Asia and the Arabian Peninsula, where it is widespread, especially in the Arriyadh region, owing to its hardiness in the summer. 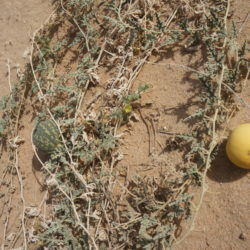 A more common relative of C. colocynthis is Citrullus lanatus, the watermelon. The leaves are triangular, grey-green and deeply lobed with three to seven lobes. The branches are hairy. 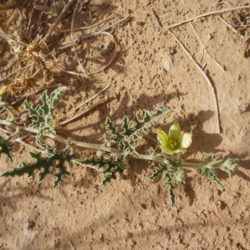 The small, yellow flowers appear in summer. 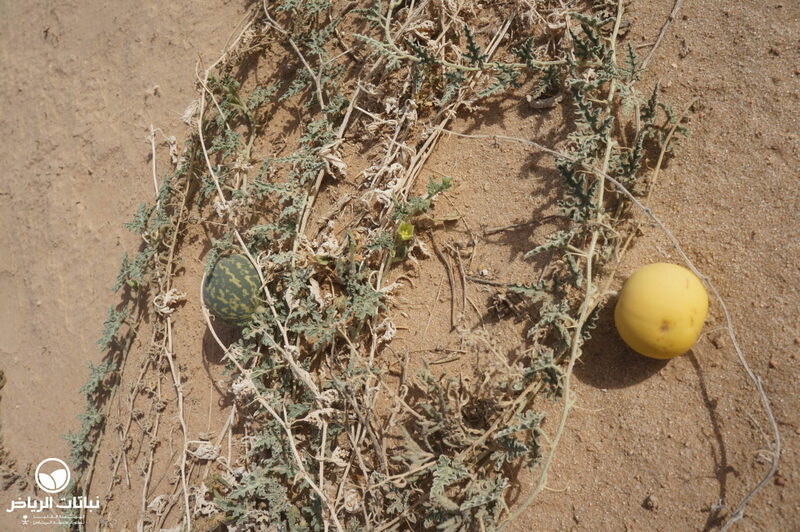 The fruit is about 7 cm in size, initially fleshy and a mottled green with yellow bands. 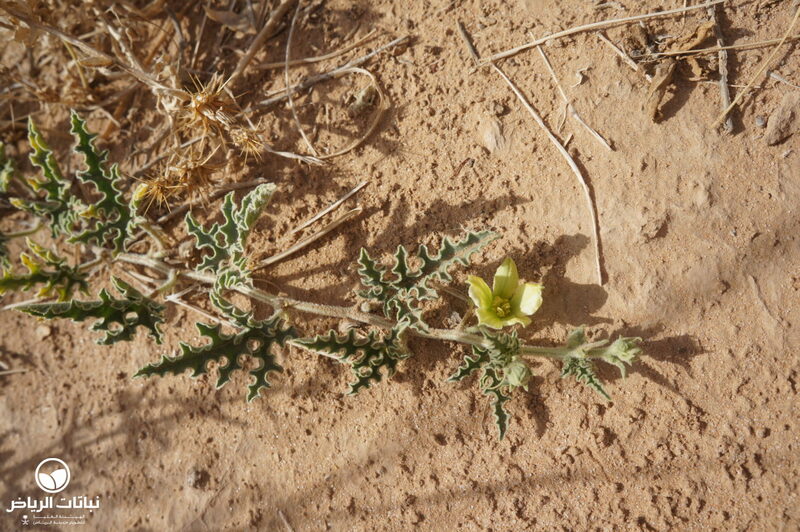 Older fruits are yellow, and rattle if shaken. The fruit was used formerly as a digestive, and the taste is very bitter. Nowadays, its medicinal uses are limited, because it can damage the liver. Propagation is by seed. 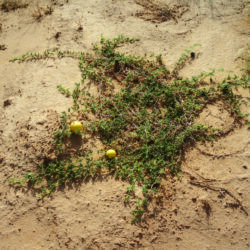 It grows on sandy soil, is moderately salt-tolerant, and for landscape purposes little maintenance is necessary once established. C. colocynthis will not tolerate frost, but recovers during summer. 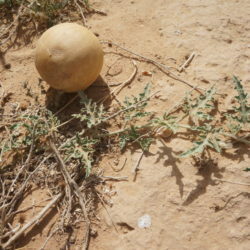 The Bitter Apple is very useful for open land as a coloniser and slope stabiliser. It can be also planted in extensive landscape schemes such as rock or steppe gardens, and as a groundcover.